I was asked to make a pregnant belly cake for a baby shower. I know that your focus is on wedding cakes and stuff, but and I don't know exactly what to use for the breast part. I have a Wilton soccer ball pan (semi-circle) that I'm going to use for the belly, and I am thinking of using a cupcake pan for the breasts, does that sound right? Do you think they will be big enough? 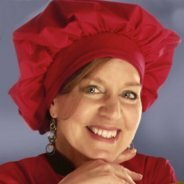 Will it look properly portioned? 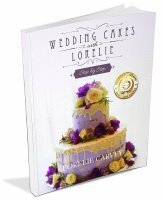 Hi Sarah, I welcome all questions about cake decorating even though the website is wedding cake related. So thanks for visiting and asking about the pregnant belly cake. Yes that sounds right. I have seen these cakes and that is exactly how they were described as being constructed. Use two large cupcakes for the breasts and the Wilton Soccer ball pan for the belly. 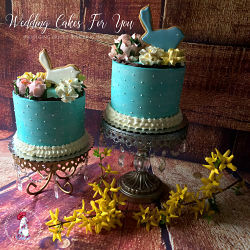 After the cakes are coated in buttercream you can then cover the cakes in fondant or marshmallow fondant to make the dress, the ribbons and the polka dots. What a sweet cake. I love the colors of this particular one. 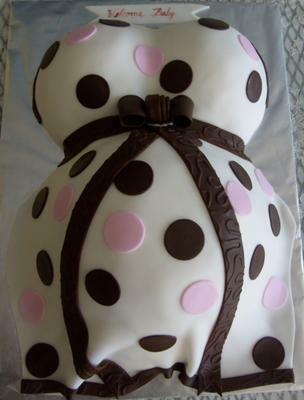 After seeing this pregnant belly cake I may make one for my daughter in law who is pregnant with her second baby. 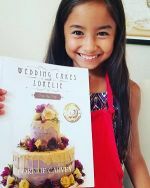 Please submit a picture of your finished cake using the same form that you used to submit this and let us know how it went or if you picked up a tip along the way that you would like to share. 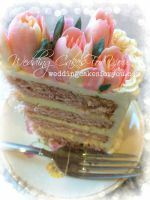 I am moving your question about the pregnant belly cake to the "decorating cakes" page on this site. Hello! I love your website and cakes. I have a quick question. I have been asked to make a pregnant belly cake. I have purchased the Wilton ball kit and a large mixing bowl from Ikea. There will be around 20 individuals there. Also what is a good temp to cook the large belly cake at? I tried making one last night. I had it at 300 degrees but the sides were cracking so I lowered it to about 200 but it took like an hour and a half to get the middle of the cake cooked and it was still moist and some of the bottom of the cake came off even though I rubbed shortening in the bowl before putting the batter in. Hi, I have not used the ball pan, but have used the doll pan which is similar. I use a 335 oven for that. 200 is probably too low. I'm surprised that 300 was too high. Try using less batter next time. After you grease your pans with shortening dust it with flour and then pour the batter in. Let the cake cool a bit first before trying to remove it from the pan. Hope that helps. Hi! I am going to do a pregnant cake and I have read that some use the sport ball pan from Wilton or the Soccer ball pan. I want to use the soccer ball pan since it's bigger. But my question is when you cover the cake with frosting and fondant doesn't the lines from the soccer ball pan show through the fondant? How do you avoid that from happening? Thank you for you help! Hi Clarissa, I personally have not used the soccer ball pan. But if there are lines, you can use a knife to smooth it out before icing and putting fondant on. 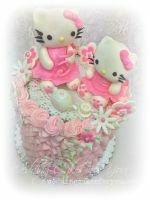 The frosting will also help you to make a smooth surface for the fondant. I hope that helps.